B.C. 's nurses are calling for significant changes to how the federal government treats illicit opioids – including decriminalization of the drugs. 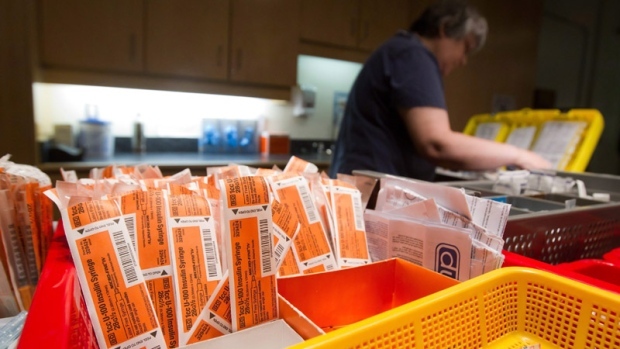 The BC Nurses Union issued a news release Tuesday saying it wants the federal government to declare the opioid crisis a national public health emergency. It's also calling for the decriminalization of personal possession on all opioids – and wants Ottawa to provide users access to a safe supply. Ryan Hedican died of an overdose in April while using fentanyl-laced heroin. The 26-year-old was found unresponsive during a lunch break at his work. Sorensen argues Ottawa can reduce preventable deaths like Hedican's by declaring a national public health emergency under the Emergencies Act. So far, the federal government has responded to the crisis by easing rules to allow the expansion of supervised injection sites and making naloxone available without a prescription. However, Sorensen believes they need to do more. In the wake of Hedican’s death, a petition was made calling for decriminalization and safe access. The petition will be presented to the House of Commons. The Ministry of Health and Addiction issued a statement Tuesday saying people who are addicted to drugs should not be considered criminals, and should receive treatment just like those with other health conditions. "Minister Judy Darcy has brought up the need for a courageous conversation around drug policy with her federal and provincial counterparts. We recognize that the Criminal Code is a federal matter, and our government is doing all we can to respond to the overdose crisis to save lives and link people to treatment where and when they need it," the statement said. "We are taking immediate action to increase the availability of naloxone and to increase access to a full spectrum of treatments so that people can ask for help once, and get help fast."